Patten Election Warden Linda Lyons helps a voter put his ballot in the box at the Patten fire station. PORTLAND, Maine — Maine election officials are racing to implement a new voting system in time for the June primary, marking the first use of ranked-choice voting in statewide primary elections. Secretary of State Matt Dunlap plans to submit proposed rules governing the voting method by month’s end. But if there’s no majority winner, then it could take a week or more for ballots to be brought to Augusta, entered into a computer and tabulated. Under the system, last-place candidates are eliminated. There are additional tallies until there’s a majority winner. The signatures were certified March 5, allowing ranked-choice voting to be used in June on the same day voters decide whether it’ll be used going forward. Election officials estimate the system will add about $800,000 to the cost of the June election, bringing the total to about $1 million. Ranked-choice voting proponents say the system eliminates the impact of spoilers or extremists who lack centrist appeal. “Folks across the country are looking to Maine to see how it goes,” he said. Nationwide, more than a dozen cities have adopted ranked-choice voting, but it’s only been used once in a statewide election of a North Carolina judge in 2010. The state must determine the ballot layout and the secure transfer of ballots. There has to be an effort to educate voters that the outcomes may not be known right away. The process has to be done quickly but in a thorough and transparent way to ensure voters have faith in the outcome, Dunlap said. There’s been something of a tortured path for ranked-choice voting in Maine. 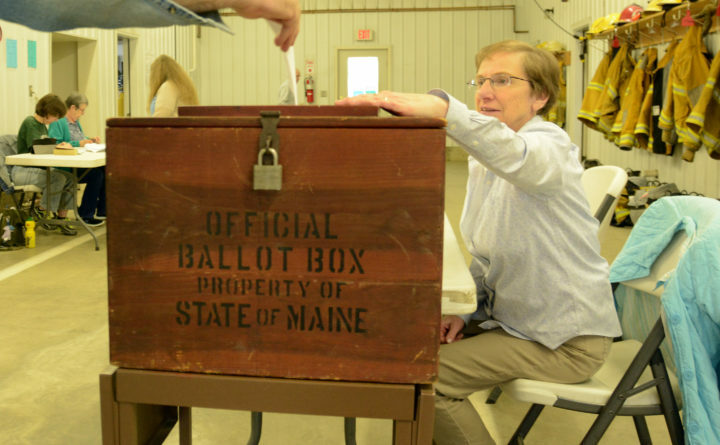 Voters adopted the election overhaul with a statewide referendum in November 2016, but the state supreme court concluded that the system runs afoul of the Maine Constitution when it comes to general elections for legislative and gubernatorial races. Thus, the system currently applies only to primary elections and to federal races in general elections in Maine. Correction: An earlier version of this report incorrectly stated that the June 12 people’s veto vote would determine whether ranked-choice voting would be used in Maine’s November general elections. Even if the people’s veto passes, ranked-choice voting would only apply to congressional elections in November. The system is not slated to be used in November for legislative and gubernatorial elections.